Railpictures.ca - Michael Berry Photo: CN 327 with CSXT 532 & CSXT 5424 is heading west on CN’s Kingston Sub just as CP 142 with CP 8803 & BNSF 3999 passes on CP’s Vaudreuil Sub. | Railpictures.ca – Canadian Railway Photography – photographie ferroviaire Canadienne. 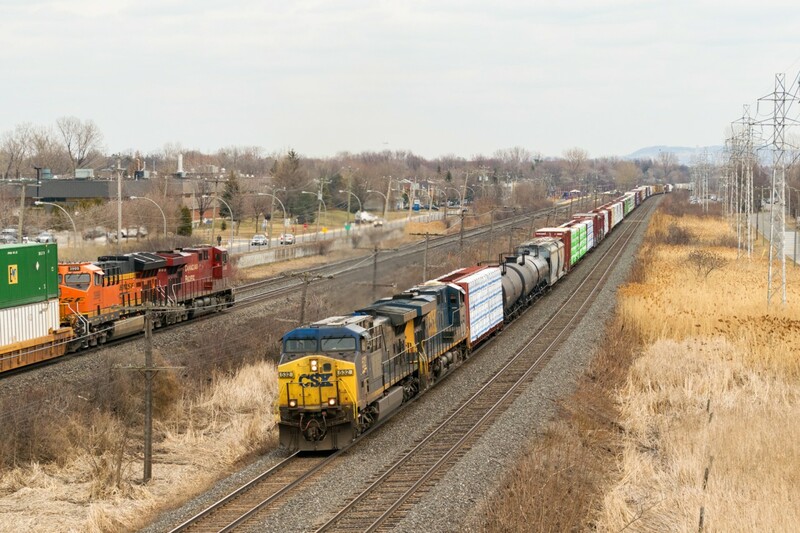 Caption: CN 327 with CSXT 532 & CSXT 5424 is heading west on CN's Kingston Sub just as CP 142 with CP 8803 & BNSF 3999 passes on CP's Vaudreuil Sub. Thats nice. With fewer trains these days photos like this are not very common.